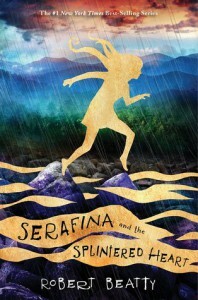 Serafina and the Splintered Heart by Robert Beatty is the third installment of the Serafina trilogy. There are more dangers for Serafina and her family and friends at Biltmore Estate. Serafina has become one of my all time favorite characters, and these books have become some of my favorite stories that I can share with my grandchildren.